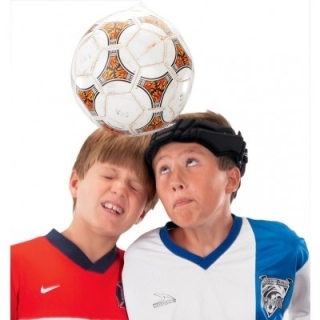 The DonJoy Hat Trick headguard provides a heightened level of protection from typical soccer impact forces and is ideally suited for soccer players of all ages and ability levels. 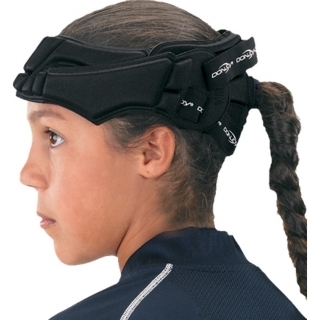 · Impact-absorbing foam layer covers and protects the forehead and temples without altering ball rebound speeds. 6 1/8" - 7 3/4"
Impact-absorbing foam layer covers and protects the forehead and temples without altering ball rebound speeds.